We love all kinds of exquisite handmade creations, especially recently popular protective cases for iPad mini, while the latest finding is the following Cocones iPad mini sleeve. 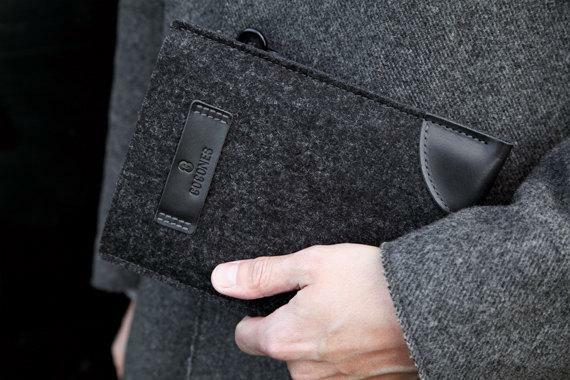 This is a well-designed protective sleeve designed for iPad mini, and handmade by Cocones, a designer couple in Dublin and Ireland. 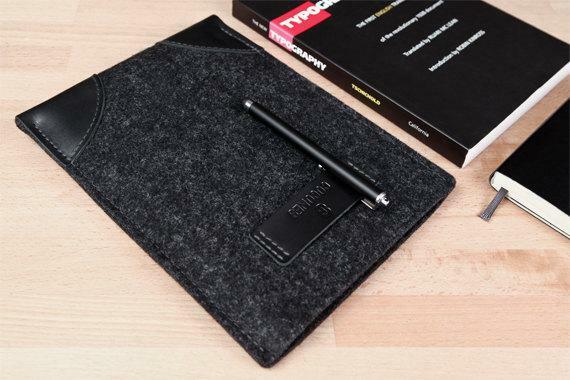 As we can see from the images, the sleeve styled iPad mini case features low-profile, minimalistic, stylish design, and is made of high quality 100% natural wool felt from Germany, and comes with high quality black leather logo patch and corner patches for durability, and the logo patch doubles as a pen holder for your stylus or pen. 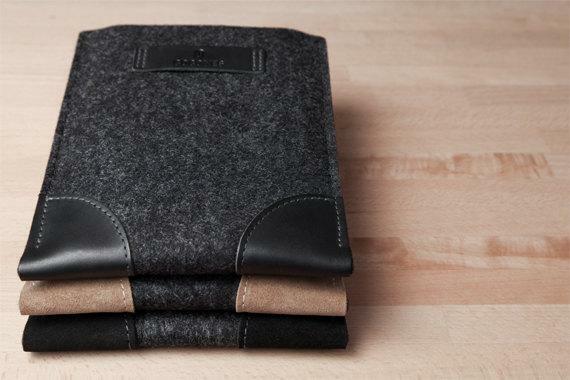 Moreover, the wool felt measures 3mm thick in order to protect your iPad mini from bumps and scratches. 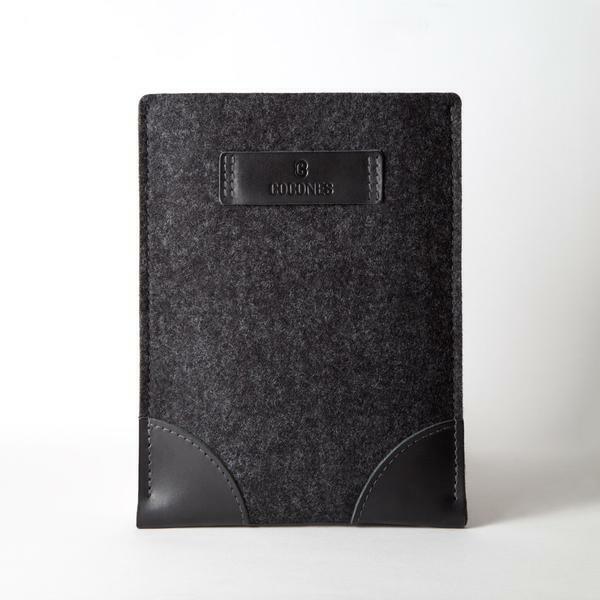 Cocones handmade iPad mini sleeve is priced at $44 USD. If you’re interested, jump to Etsy for more details.